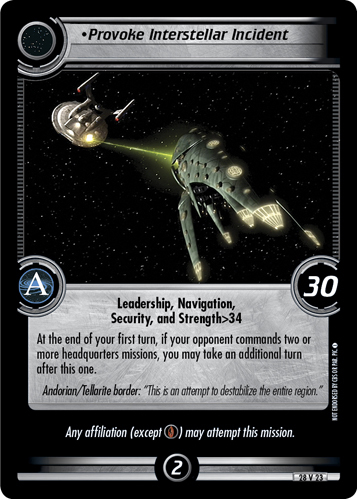 At the start of each of your turns, you may discard 4 cards from hand to download a Temporal ship. 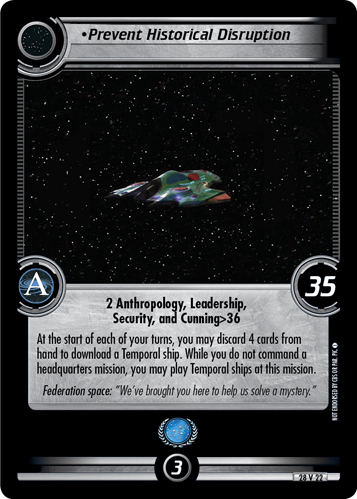 While you do not command a headquarters mission, you may play Temporal ships at this mission. 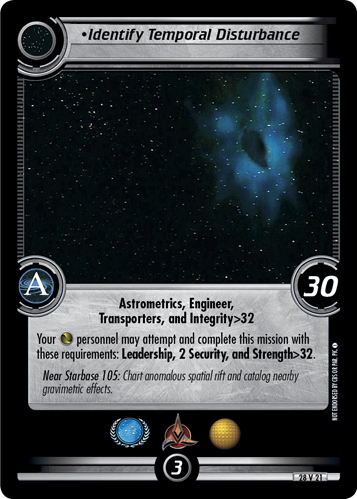 Federation space: "We've brought you here to help us solve a mystery."